Go here to find information on the Deep Learning Course in 2019. Go here to find information on the STEOP Course. Go here to find information on the Numerics Exercises. Go here to find information of my course in Signal Processing (Bild und Signalverarbeitung). Go here to find information of my course in Deep Learning. Go here to find information of my course in Applied Analysis. 06-2019: Invited Talk at the Data Science Seminar at Oxford University in June 2019. 01-2019: In recent work entitled The Oracle of DLPhi (jointly with the participants of the Oberwolfach Seminar: Mathematics of Deep Learning) we show the groundbreaking result that deep neural networks are capable of predicting anything as long as they are presented with a sufficient amount of training data (in this case uncountably many training samples) and as long as one trusts the Axiom of Choice. This manuscript has mostly humouristic value. However, while the main theorem is based on a dubious application of the axiom of choice, it is a correct mathematical statement. Therefore, this manuscript at least highlights the dangers of applying mathematical theory to real-world applications blindly. 06-2020: Plenary Talk at FoCM 2020. 10-2019: Invited to the workshop Computational Harmonic Analysis and Data Science at the Casa Matematica Oaxaca. 09-2019: Invited to the workshop Innovative Approaches to the Numerical Approximation of PDEs at the Mathematisches Forschungszentrum Oberwolfach. 06-2019: Plenary Talk at ATFA 2019. 01-2019: Plenary Talk at the Workshop on Intelligent Machines and Mathematics at the University of Bologna. 01-2018: Member of the board of directors of the Austrian Mathematical Society. 12-2017: The paper Stable Gabor Phase Retrieval and Spectral Clustering (joint work with Martin Rathmair) was accepted for publication in Communications on Pure and Applied Mathematics. 11-2017: Organization of Oberwolfach Seminar on The Mathematics of Deep Learning in 2018 (jointly with Gitta Kutyniok). 11-2017: Organization of the MAIA2019 conference on Multivariate Approximation and Applications in 2019 (jointly with Maria Charina, Charly Groechenig and Johannes Wallner). 10-2017: Organization of the Workshop on Interplay of Tensor Structured Formats with advanced PDE discretizations (joint with Christoph Schwab) within the ESI thematic programme on Numerical Analysis of Complex PDE Models in the Sciences. 07-2017: Plenary Talk at the 7th International Conference on Computational and Harmonic Analysis in Nashville in May 2018. 07-2017: Invited Talk at the workshop ''The Mathematics of Deep Learning'' at The Jockey Club Institute for Advanced Study (IAS) and Department of Mathematics at the Hong Kong University of Science and Technology (HKUST) in January 2018. 06-2017: Plenary Talk ath the CoSIP Intense Course on Deep Learning at TU Berlin in November 2017. 06-2017: Plenary Talk at the ESI Workshop Systematic approaches to deep learning methods for audio in September 2017. 05-2017: Invited Talk at the Applied and Computational Analysis Series at Cambridge University in October 2017. 05-2017: Two keynote lectures at the workshop Introduction to Deep Learning at TU Vienna, jointly with Michael Wand. 04-2017: Keynote Speaker at the Deep Learning 2017 workshop in Berlin. 03-2017: Member of the Editorial Board of IEEE Transactions on Information Theory. 02-2017: Member of the Editorial Board of GEM-International Journal of Geomathematics. 02-2017: One semi-plenary lecture and one invited lecture at the Foundations of Computational Mathematics (FoCM) 2017 conference in July 2017. 02-2017: Invited talk at 3. International Matheon-Conference on "Compressed Sensing and its Applications" in December 2017. 02-2017: Plenary lecture at the Curves and Surfaces 2018 conference in July 2018. 02-20-2017: Talk On the structure of Neural Networks in the Mathematical Colloquium at RWTH Aachen. I will organize an Oberwolfach Workshop on Nonlinear Data: Theory and Algorithms in April 2018, jointly with Oliver Sander, Johannes Wallner and Jean-Luc Starck. I will give a keynote lecture on Infinite-Dimensional Phase Retrieval at the "Tag der Mathematik" of the Austrian Mathematical Society. I will organize a special session on Mathematics of Deep Learning at the SampTA 2017 conference, jointly with Helmut Bölcskei and Miguel Rodrigues. I will speak in the Dresdner Mathematisches Seminar in November 2016. I gave a keynote lecture at the FoE Colloquium at TU Graz in October 2016. I gave a plenary talk entitled Infinite-Dimensional Phase Retrieval at the MAIA 2016 Conference from 18.09.2016- 23.09.2016, see here. 08-2016. Zeljko Kereta has successfully defended his PhD thesis on Continuous Parabolic Molecules which is available here. Congratulations Zeljko!!!! 06-2016. Markus Sprecher has successfully defended his PhD thesis on Numerical Methods for Opimization and Variational Problems with Manifold-Valued Data which is available here. Congratulations Markus!!!! Since 01-2016 I am partly affiliated with the University of Vienna, where I will move in July 2016. Due to the increase in work load incurred by this move, I might take a bit longer than usual to reply to emails and other requests. 11-2015. Axel Obermeier has successfully defended his PhD thesis on Ridgelets-An Optimally Adapted Representation System for Solving Advection Equations which is available here. Congratulations Axel!!!! Dr. Rima Al-Aifari has secured a prestiguous ETH Fellowship. Congratulations Rima! I gave an invited talk entitled New Perspectives of Computational Harmonic Analysis in Numerics at the workshop 30 Years of Wavelets: Impact and Future hosted at the CIRM in Marseille. See here for the link to the workshop and here for a link to a video of my lecture. I gave a plenary talk entitled Ridgelet Methods for Linear Transport Equations at the Oberwolfach Workshop New Discretization Concepts for the Numerical Approximation of PDEs from 11.01.- 17.01.2015, see here. 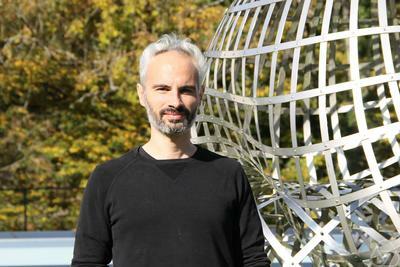 Winner of the 2014 Latsis Prize of ETH Zürich! See also the press release in german and english. 11-2014. I gave a course on Wavelets, Shearlets and geometric Frames in the Doctoral School on Computational Harmonic Analysis - with Applications to Signal and Image Processing at CIRM. Videos of my lectures can be found here and here. 14-01-2014. Invited Talk Ridgelet Discretization of linear Transport Equations at the Workshop on `Time-Frequency Analysis' at the Erwin Schrödinger Institute. 28-10-2013. Simon Etter completed his Bachelor thesis entitled FFT-based Ridgelets for Radiative Transport. 23-09-2013. Uwe Wiesmann completed his Bachelor thesis entitled The Shearlet-Regularized Fast Thresholded Landweber Algorithm. 17-09-2013. Meriton Mihovci completed his semester thesis entitled Diffusion maps. 07-27-2013. Manuel Cavegn completed his Master thesis entitled TV regularization for geometric data. I am organizing a minisymposium on Anisotropic Approximation Theory at Curves and Surfaces 2014. I am presenting a minicourse on Approximation of Manifold-Valued Data at the Workshop on Applied Harmonic Analysis in Genoa (Italy). I am organizing a minisymposium on Approximation, Compression and Data Analysis jointly with Prof. Massimo Fornasier and Prof. Rachel Ward at ENUMATH 2013. I am organizing a minisymposium on Finite Elements in Nonlinear Spaces jointly with Prof. Oliver Sander at MAFELAP 2013. 04-22-2013. Sebastian Schraink completed his Bachelor thesis entitled An Implementation of the Discrete Ridgelet and Curvelet Transform for Image Processing. 02-26-2012. Served as an examinator in Graeme Pope's doctoral exam at ETH. I gave an invited talk on Optimal A Priori Discretization Error Bounds for Geodesic Finite Elements at the workshop New Trends in Applied Geometry in Bad Herrenalb (Germany). 31-01-2013. Patrick Lengacher completed his Master thesis entitled Image Post-Processing for Differential Phase Contrast Imaging. The schedule for the seminar "Sparse and Redundant Representations", as well as some further information can be found here. I gave an invited talk at the Workshop on Applied Coorbit Theory at the Erwin Schrödinger Institute in Vienna. Here are the slides of my talk. 07-27-2012. I will teach a Numerical Analysis Seminar on Sparse and Redundant Representations in the upcoming fall semester. 07-27-2012. Martina Beer completed her Bachelor thesis entitled Edge Detection for Diffusion Tensor MRI. 07-20-2012. Served as an examinator in Oliver Ebner's doctoral exam at TU Graz. Participating in the Oberwolfach Workshop on Applied Harmonic Analysis and Sparse Approximation from June 10-16th 2012. My talk was entitled On the Structure of Anisotropic Frames. 06-01-2012. Simon Laumer completed his Bachelor thesis entitled KdV Equation: Convergence of a Finite Difference Scheme subbested by Y. Kametaka (supervised jointly with Nils Henrik Risebro). Suggestions for possible Semester/Bachelor/Master thesis projects can be found here. I will teach a graduate course on Time-Frequency Analysis in the upcoming spring semester. I will give a talk entitled Finite Elements of arbitrary order and quasiinterpolation for Riemannian data at the Workshop on Subdivision and Refinability from September 15 to 19 2011 in Pontignano (Italy). Check out my gallery of Laguerre minimal surfaces. I will give a talk at the Geometry Workshop from June 19 to 23 2011 in Obergurgl (Austria). I will teach the course Numerical Solution of Differential Equations for RW/CSE in the upcoming fall semester. 24/05/2011: Habilitation in Mathematics at TU Graz. I will speak about Tree Approximation and Optimal Image Coding with Shearlets in the minisymposium on Geometric Multiscale Analysis at the SampTA 2011 conference from May 2 to May 6 2011 in Singapore. Keynote speaker at the workshop Industry Challenges in Geometric Modeling, CAD and Simulation - 2011 from March 31 to April 1 2011 at TU Darmstadt. I will speak about Approximation Theory for Manifold-Valued Data. I am organizing a student seminar on Computational Harmonic Analysis starting on Thursday, February 24 2011. If you are interested in writing a Bachelor thesis on related topics, please contact me. Here is a short introductory presentation of the subject. The seminar schedule can be found here.